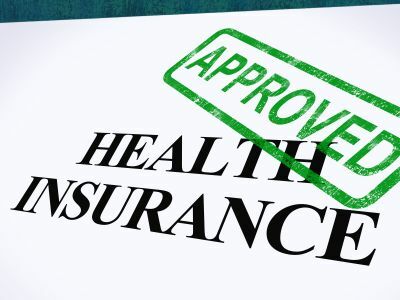 One of the parts of the health care reform law (the Patient Protection and Affordable Care Act of 2010, sometimes called Obamacare) is a change to the way insurance companies are legally allowed to handle enrollees and potential enrollees who have pre-existing conditions. In most cases, health insurance companies will not be able to deny or cancel coverage for an enrollee on the basis of a pre-existing condition. This may be a relief to you as someone with inflammatory bowel disease (IBD), as you may have encountered barriers to insurance coverage in the past, especially when switching jobs or when entering into the workforce after graduating high school or college. A pre-existing condition is any disease or health condition that was diagnosed prior to a patient applying for a new health insurance policy. In the past, a patient who had been diagnosed with a chronic condition and who then experienced an interruption in health insurance coverage, or was changing insurance carriers, could be denied a policy because of their so-called pre-existing condition. In the case of applying for health insurance through an employer, the pre-existing condition clause was limited to any condition that was treated during the prior 6 months. This meant that anything a patient received care for in the 6 months before getting a new job might not be covered. Anyone with a chronic illness would need treatment during that time, so anyone who had IBD or a complication of IBD might be denied insurance coverage when switching jobs. The pre-existing condition exclusion could not be applied as long as a patient had coverage for an entire year prior to switching jobs and did not experience a loss of coverage that lasted more than 63 days. That meant that if you'd been hired and laid off without being at your job a year, or you were out of work for more than 63 days, you might be denied insurance coverage for your condition when you got new health insurance from your job. If an enrollee was granted a policy despite the pre-existing condition, the period during which an insurance company could refuse to cover any costs associated with the pre-existing condition was variable, but could be as long as 18 months. Meaning that for a year and a half after getting new insurance, you might be denied coverage for your treatment of IBD or another condition. What this all translates to was a difficult situation for anyone with chronic health problems, who had to run the risk of going without coverage if they were unaware of one of these complicated "rules." For people with chronic conditions such as IBD, the ability for insurance companies to exclude coverage based on a pre-existing condition is a serious problem. IBD can not be cured, and because the disease stays with a patient throughout his or her lifetime, it requires periodic monitoring and continuous treatment. The potential to be denied coverage was, and still is, a constant concern for many. "Under the Affordable Care Act, health insurance companies can’t refuse to cover you or charge you more just because you have a “pre-existing condition” — that is, a health problem you had before the date that new health coverage starts. They also can’t charge women more than men." The pre-existing coverage rule does not apply to “grandfathered” individual health insurance policies. A grandfathered plan is one that was bought and in place before March 23, 2010. The grandfathered status must be spelled out in the plan materials. If you think your plan may be grandfathered, contact the company that administers the plan, and they should tell you. Starting six months after March 23, 2010 -- the date the health care reform law took effect -- health insurance companies are prohibited from denying coverage to children who have a pre-existing condition. In 2014, this also applied to adults who have pre-existing conditions. Also starting six months after enactment of the law, health insurance companies will not be able to cancel existing coverage due to a pre-existing condition. Coverage can only be canceled in the case of fraud, such as knowingly lying about the condition of your health. If coverage is going to be cancelled, the insurance company must inform the enrollee. Democratic Party Committee. "Summary of Health Care and Revenue Provisions." March 2010. Democratic Party Committee. "Full Text of the Patient Protection and Affordable Care Act (P.L. 111-148)." 24 Dec 2009. Does IBD Qualify as a Disability Under the ADA? If You Take The Pill, Are You At Risk For IBD? Are You Afraid To Ask Your Gastroenterologist These Questions? What Free Services Are Available To People With IBD?